Before Kyiv made an official statement on a possible expansion of the range of US military assistance to Ukraine, international humanitarian (!) organizations grew sharply worried about Ukrainian militarism! If it goes like this, FIFA, chess federations or philatelic societies can start monitoring Ukraine's observance of arms trade regulations. Ukraine can become the first post-Soviet state to be granted an opportunity to buy modern unmanned combat aerial vehicles, UCAV. Ukrainian Foreign Minister Pavlo Klimkin mentioned this prospect on 25 September. This and other assistance will be provided under the bill, which US lawmakers approved this summer, which foresees 500m dollars in military aid for Ukraine. Such assistance will be very significant against the backdrop of Ukraine's future defence spending of 3.3bn dollars, which is approximately the amount booked for the Ukrainian Defence Ministry in the Ukrainian draft budget for 2018. Literally until mid-September, the discussion on the contents of US military-technical assistance was limited mainly to the conditions of delivery of defensive lethal weapons, such as antitank missiles and counter-battery assets. In view of this, the prospect of Ukraine joining the club of countries with assault UCAVs stirred the Russian Federation. 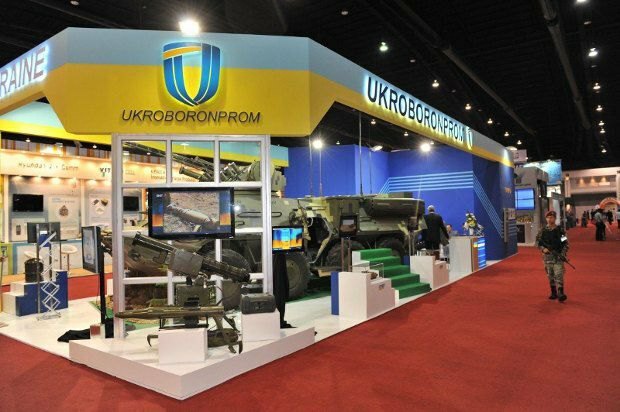 One of the signs of this was a sharp change in tactics after which Ukraine faced the accusations of being an "unreliable supplier" and a "risky arms buyer in the world market". Until now, the Russian tactic of discrediting Ukraine was based on targeted publications in the European or American press used to launch media campaigns against Ukraine. Usually, they started with a publication in the West, which would quote an independent source speaking about a weak, unreliable and simply incapable Ukraine. At the second stage, this very original opinion was broadly picked up by the Russian press. It instantly expanded and supplemented the next Russian allegations about Ukraine's military-technical cooperation with its partner countries. Such amendments and addenda often looked like they had been prepared in advance. And this property was an obvious drawback of this kind of strategy. Because when the Russian press surprisingly broadly quoted "information from independent sources in the Western press", the catch became obvious. And very often, an information campaign launched against Ukraine did not bring any results. After the US decision to give half a billion in military aid to Kyiv became a fact last summer, targeted information attacks on Ukraine began to subside. Instead the anti-Kyiv strategy began was becoming institutional. For example, targeted publications in the USA or the EU are less and less often used as an information fodder for the Russian press. They are being replaced by exposing reports allegedly written by independent Western research and expert centres, civic initiatives or international associations of investigative journalism. If Moscow decided to use all its people in these institutions, who took years and big money to bring up, this means one thing: the Russian capital is now being guided by the reflex "as if there were no tomorrow". In other words, the question of Ukraine's positive image in the arms market is a real burr in the saddle for many in the Russian government. So much so that Moscow is ready to expose their cadres in Western public and professional organizations. The latest such example is a rather paradoxical report by the OCCRP and Amnesty International (AI), which was published on 25 September, exactly on the day when the Ukrainian foreign minister announced a coming expansion of the range of US military assistance to Ukraine. There are many paradoxes in this military-technical report of the international humanitarian organization. But two of them are the key ones. The first of the paradoxes is very simple: even if state supplies from Ukraine to South Sudan did take place, that country is not on the list of sanctions and trade restrictions, which is approved by the UN Security Council, anyway. The second paradox is more complicated. AI, which is a humanitarian organization, has nothing to do with the main specialized international body for control over the legality of arms supplies. This is the United Nations Office for Disarmament Affairs (UNODA). It is this intergovernmental institution of the United Nations, rather than citizens' assemblies or journalistic syndicates, that is authorized by the international community to monitor the implementation of the Arms Trade Convention. It was concluded in 2015 under the multilateral arms trade agreement, the Arms Trade Treaty (ATT). As of the current year, the number of signatory countries, together with Ukraine, has reached 130, and 72 countries have ratified it. Russia refuses to sign this agreement in principle. In addition to these paradoxes, the report also contained other absurdities. For example, it mixed public and private companies mentioned in the documents. In short, the point of the report was that, as long as three years ago, government agencies of Ukraine, which is not an EU member, allegedly violated the EU's restrictions on the supply of military equipment to the Republic of South Sudan. The Ukrainian state company Ukrinmash, which was mentioned in the OCCRP and AI report, dismissed absolutely all the data contained in this document. A representative of this company told the press that certain documents had indeed been signed, but they never made it to the stage of implementation. Nothing was delivered or paid. Ukrinmash's statement was corroborated by the State Export Control Service of Ukraine (SECS): "As for the foreign trade activity of the private company Tekhimpex mentioned in the report, it fits within the framework of a legitimate business," the agency said. According to the SECS, the products manufactured by this private company using imported components were supplied to Ethiopia, the UAE, Chad and Uganda in 2014-2016. It noted that there are no UN or EU restrictions with regard to these countries. And, according to international reports, other countries, including EU members, also supply arms to these countries on a regular basis. In general, in addition to the mentioned paradoxes, the OCCRP and AI report also raises questions. The first of these is why the official document of a reputable organization repeats the theses of an old, May article from the European newspaper EU Observer on international arms shipments to the Republic of South Sudan? But whereas it is trendy to consider such issues as pertaining to copyright to the investigation, the next question sounds more serious: why was the OCCRP and AI report on the events which happened three years ago released in 2017? 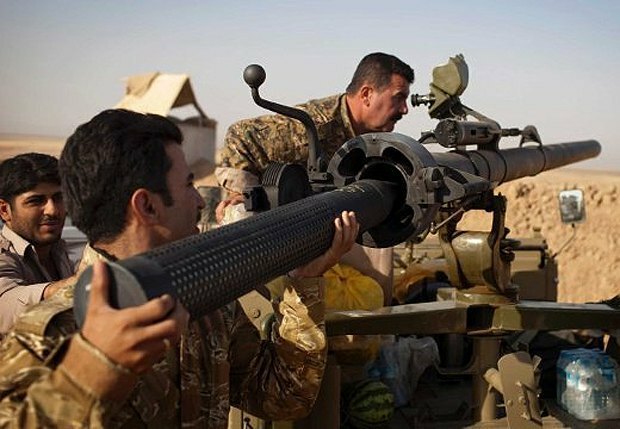 And only a few days after the Russian OCCRP together with the Balkan Investigative Reporting Network (BIRN) alleged that Ukraine supplied arms to Kurdish separatists? 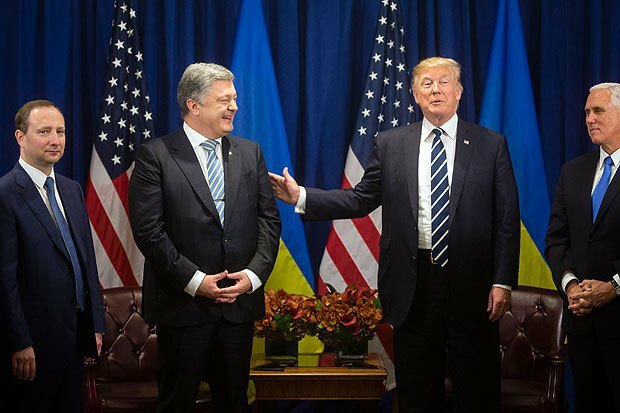 If the OCCRP/BIRN report, which seems to precede the OCCRP/AI report, is to be trusted, in 2016-17, Ukraine did a very bold thing by selling, together with several Eastern European states, arms to the US Department of Defence for the Syrian democratic forces that are fighting against ISIS with the official support from the coalition of NATO countries and the League of Arab States. And not to the regime of Bashar al-Assad and the Russian Federation, against which there are wide international sanctions. Hence, there is one more, main question: so what are the real goals of the military-technical reports compiled by the humanitarian (!) organizations? To reduce the intensity of hostilities in a number of regions of the world? Or, maybe, to discredit the trade between Ukraine and its partners? What is to be prevented by information attacks against Kyiv? Since the time of the Communist International and the Warsaw Pact, both quashed by history, Russia has not used its foreign civilian institutional leverage to discredit its neighbours and disrupt their military-technical cooperation. The last example familiar to Ukrainians is when Russia packed the OSCE and its Special Monitoring Mission in Donbas with its people. Now, as we can see, the practice of disrupting military plans characteristic of the era of the "total struggle of communism for peace in Europe" is back. 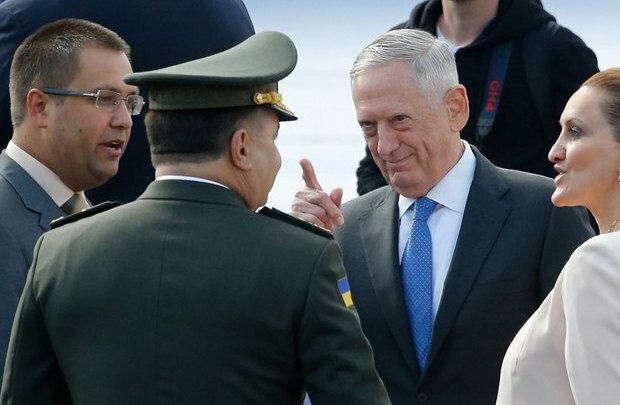 And we can assume that the Russian fear of military cooperation between the USA and Ukraine has good reasons - because of the new prospects for a range of US military assistance. It is expanding, which is clearly not what Moscow wants.